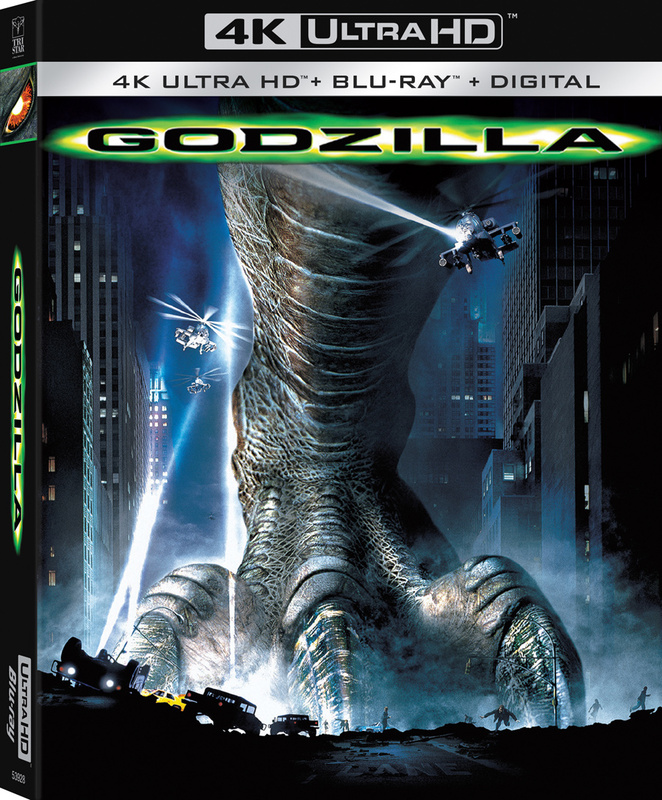 GODZILLA, the action-packed 1998 monster spectacle from Roland Emmerich and Dean Devlin, the filmmaking team behind Independence Day, debuts on 4K Ultra HD May 14 from Sony Pictures Home Entertainment. Matthew Broderick (Ferris Bueller’s Day Off) and Jean Reno (Léon: The Professional) team up as the unlikely heroes out to save New York City from the giant, fire-breathing monster and its babies hatching in Madison Square Garden. Fully remastered in 4K from the original camera negative with High Dynamic Range, GODZILLA on 4K Ultra HD also includes new earth-shaking Dolby Atmos sound. The 4K Ultra HD disc also includes three trailers, including the original iconic teaser!